Bridge is a numbers game. 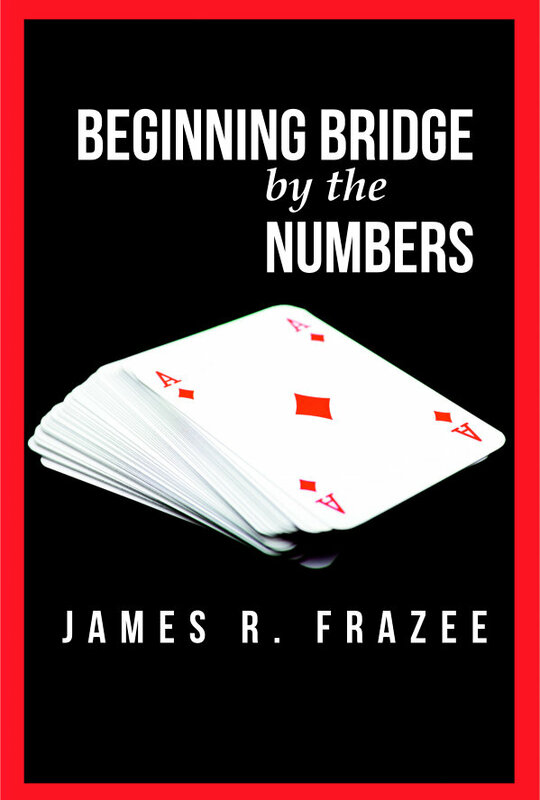 This book is a beginner’s “How To” book on learning to play bridge based on numbers. It is a step by step learning process as well as a reference manual for both new and intermediate bridge players. It is not meant for the expert player. The book teaches you how to determine your points and then use them in your bidding. Each chapter contains examples and exercises to test your understanding before you move to the next section. 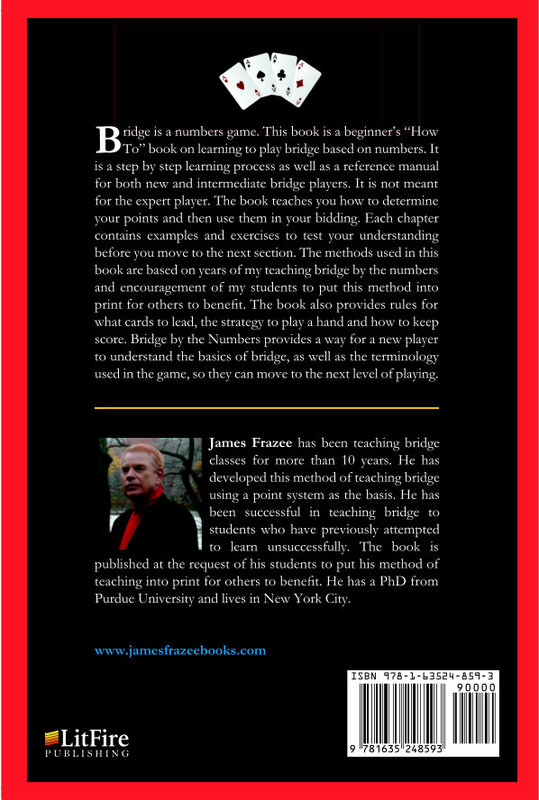 The methods used in this book are based on years of my teaching bridge by the numbers and encouragement of my students to put this method into print for others to benefit. The book also provides rules for what cards to lead, the strategy to play a hand and how to keep score. 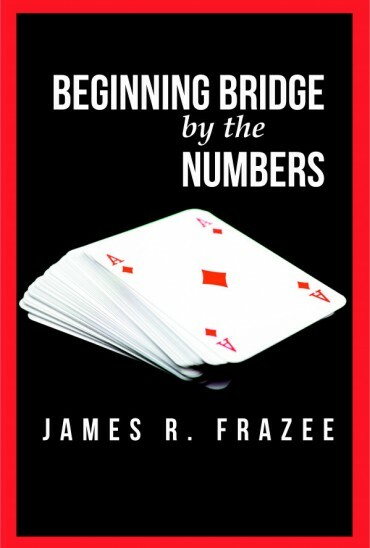 Bridge by the Numbers provides a way for a new player to understand the basics of bridge, as well as the terminology used in the game, so they can move to the next level of playing.